Forgetting your computer password isn’t fun. And if you sign in with a local account, you need to jump through several hoops to reset your password How to Reset Your Lost Windows 10 Password How to Reset Your Lost Windows 10 Password You forgot your Windows 10 login password? Don't despair! We'll show you how to reset your password and recover your account. Read More . But in the Windows 10 Fall Creators Update, Microsoft added an even easier way to recover your password if you sign in with a Microsoft account. You can now do so from the lock screen, saving you from having to reset your password on another PC. Here’s how it works. Boot up your PC and wait until you reach the lock screen. Click your username in the bottom-left corner if you have multiple accounts on your PC. Hit the I forgot my password text under the field. If you use a PIN to sign in PIN or Password? What to Use in Windows 10 PIN or Password? 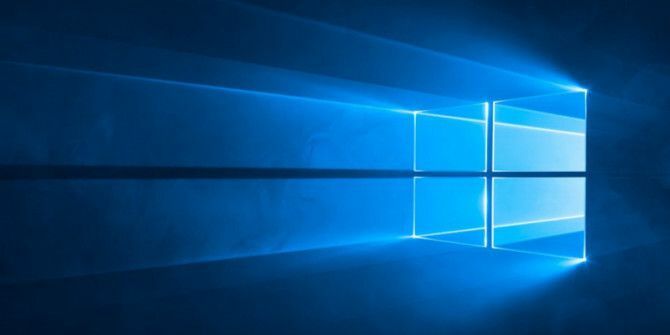 What to Use in Windows 10 Windows 10 allows you to sign into your PC using several methods. The two most popular are passwords and PINs. Let's examine the differences between them and decide which is best for you. Read More , you can reset your PIN instead. Complete the CAPTCHA to prove you’re a human and select Next. Select one of your recovery email addresses or phone number from the drop-down menu and complete the hidden part of the address/number. Hit Send Code when done. Access that email account through your phone or another PC, or via text message, and type the code you get into the resulting text box. Create a new password, and make sure you remember it! Hit Next to go back to the login screen, and enter your new password. If it doesn’t work, restart and try again. If you use a PIN to sign in, it’s probably more convenient to reset that instead of your password. Because this resets your Microsoft account password, you’ll have to enter the new password in the your phone’s email app and other places you use it. Note that this only works if you sign in with a Microsoft account — one of its many benefits The Pros and Cons of Using a Microsoft Account with Windows The Pros and Cons of Using a Microsoft Account with Windows A single Microsoft Account allows you to log into a wide range of Microsoft services and apps. We show you the pros and cons of using a Microsoft Account with Windows. Read More . Local accounts can’t use this method. Have you ever forgotten your PC password? Do you sign in with a Microsoft account? Tell us in the comments! Explore more about: Password, Windows 10, Windows Tricks. Second the first comment. I get no options to reset my PIN or Microshaft password. i have the latest version of win10 but I don't have any password reset option other than using usb drive, I click on that it opens the wizard, but then says this is not a password key, then says it needs to be set up first, well if I cant log in, how in the world can I make the usb password rest ??? it seems quite silly that it doesn't prompt you to make it right there. there is no option to send to phone or email like your article suggests. completely useless and still locked out even though I know 100% what I made the password to. just keeps saying wrong password. all it gives me is my hint which actually is my password, but it continues to say wrong password and I cant log on.